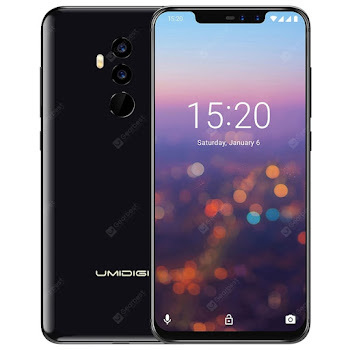 • Screen: 6.2-Inch Size Display with Protector..
High Resolution: 1080 x 2246 Pixels..
• Image Capturing Features: Four Cameras (16MP+8MP Rear and 16MP+8MP Selfie/Chat).. 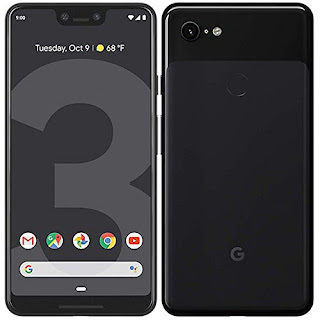 Functions: Flashlight, Face Detection, Auto Focus, Face Beauty, Panorama Shot..
Picture/Video Formats: JPG, JPEG, GIF, MPEG4, 3GP, MP4..
• Memory Capacity: 128-Gigabyte ROM, 6GB RAM.. Supports Extension up to 256GB..
• OS Platform: Android 8.1 Operating System.. Processor: Helio P60 CPU, Octa Core 2.0GHz..
• Powered by High Capacity 3550mAh Li-ion Battery (Built-in)..
• Sensors: Fingerprint, Gravity, Proximity, Accelerometer, OTG, Light, Geomagnetic, E-compass, Gyroscope, NFC..
• Wireless Connectivity: Bluetooth 4.2, WIFI 802.11a/b/g/n/ac..
Network Bands: 4G FDD-LTE, 3G WCDMA, 2G GSM..
SIM: Dual Nano Cards ~ Standby / TF card..
• Audio: Built-in Speaker with Microphone, Earphones with Adapter..
Playback Formats: MP3, WAV, AMR..
• Supports MS Office Word, Excel, PPT..
• Dimensions: 6.04 x 2.93 x 0.33 inches, 0.1650 kg..